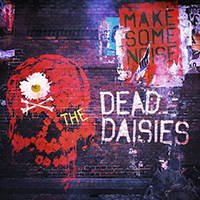 Indeed, there are many bands out there peddling this kind of thing: classic rock aesthetics fused to ballsy guitars and guttersnipe vocals – but few make it as much fan as the Dead Daisies. Helped by an impressively punchy sound, these five musicians seem to be in the form of their lives. Bouncing of a cohesive set of high octane fueled classic rockers, Daisies tussle riffs and choruses with pronounced vigor. Indeed, the bands fervor is palpable, as it spawns the punk rock charger “Mainline”; among some interestingly rabid rocker like the funk laden stomper “How Does It Feel” and “Freedom”. “Song and a Prayer” also ranks among the album’s highlights, with a heavy, blues inspired riff, triumphant chorus and a real doozy of a solo from Doug Aldrich. Also a stab at CCR’s “Fortunate Son” is quite stupendous too. There are past influences to be found scattered all over the place. The “Long Way to Go” riff carries more than a whiff of AC/DC’s “Shoot to Thrill”, “All the Same” is found toying with the “Black Betty” motif, while the fist raising tittle number gives a fair demonstration of how Def Leppard would have sounded like if they’d ever dare step out their high school prom comfort zone. “Make Some Noise” is no life changer, and it surely won’t sell millions - but the tunes stand tall and proud, and a genuine thrill is easy to detect. If only Whitesnake sounded so good nowadays!